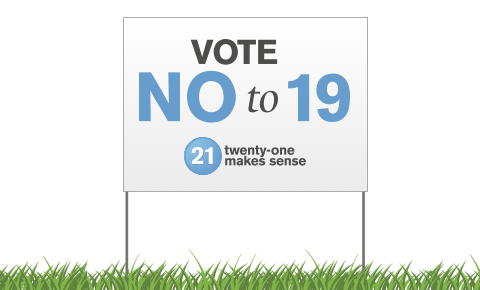 It is hard to go anywhere in downtown Iowa City, without seeing anti-21 ordinance signs. It is also just as hard to go anywhere in suburban Iowa City, without seeing pro-21 ordinance signs. For those who have been living in a hole for the past months, here is the issue. The bars in Iowa City have been reverted to the standard 21 and over only rule, applied to most bars outside of college campuses. Even though the bars have been 21+ for upwards of four months now, it is up for a re-vote, which will allow registered voters to choose what they want to see happen in the downtown scene. The issue at hand: is it right for persons under 21 to be in a bar? Many feel that the law should stay at 21, but many (which mainly includes students and bar owners) feel that it should go back to the way things were, by allowing 19-year-olds into the bars. In order to get a visual of the effect this Ordinance has had on the Downtown seen, take a look at this slideshow. There are many people who are enjoying the new ‘atmosphere’ in downtown Iowa City. And these people are not just permanent residents. Students too are voting for the law to stay at 21, although there are not very many. Even though it is hard to find students who are under the age of 21, who think the law should stay at 21, they are still out there, fighting for what they believe in. Along with these students, there are a number of groups standing alongside these young people. 21 Makes Sense is a broad-based community action organization revolved around supporting the 21-only law regulated by the city. They argue that by having the bars remain at 19, it is not only designating downtown Iowa City as an area for binge drinking, but it is also a public health and safety issue. This elevation in underage drinking, is one of the main reasons why 21 makes sense to people who support the 21 ordinance. With upwards of 600 registered supporters, it is hard to argue with their claims, as well as the facts. Hawkeye Football coach, Kirk Ferentz, is among the hundreds of other supporters, sporting a co-chair title. As well as Ferentz, University of Iowa President, Sally Mason, also supports the ban on 19-year-olds in a bar after 10 PM. Here’s a look at a TV advertisement provided by the 21 Makes Sense campaign, which relies a lot on facts. Even though it seems like a lot of people are for the law staying at 21, there are thousands of students who think otherwise. The University of Iowa is known for its downtown scene, and without it, some students argue that the city just is not as fun. The group that seems to be in direct competition with the 21 Makes Sense group is the Iowa City Safety Committee. Their main goal is to ensure the safety of Iowa City neighborhoods and children by repealing the 21 ordinance. The Iowa City Safety Committee finds it beneficial to have the law back at 19 to maintain a close eye on underage drinkers. They argue that by having all the drinkers, underage ones included, in one designated area, it will reduce the amount of sexual assaults, the police will be able to keep a closer eye on patrons disobeying the law and the surrounding neighborhoods will be kept safe. The committee also takes notice on the dramatic economic downfall the downtown area has been experiencing since the law changed to 21 only. According to their website, 1,000’s of jobs are in jeopardy as well as revenue made my musicians, bar owners and other business owners in downtown Iowa City. According to Sergeant Denise Brotherton of the Iowa City Police Department, she has also seen a drastic change in the atmosphere of the downtown culture. Although 21 Makes Sense is very fact based, and the facts tend to lean in their favor, they have failed to acknowledge when the statistics are generated. It is facts like Sergeant Brotherton’s that make many 19+ supporters argue with many of their opponents claims. 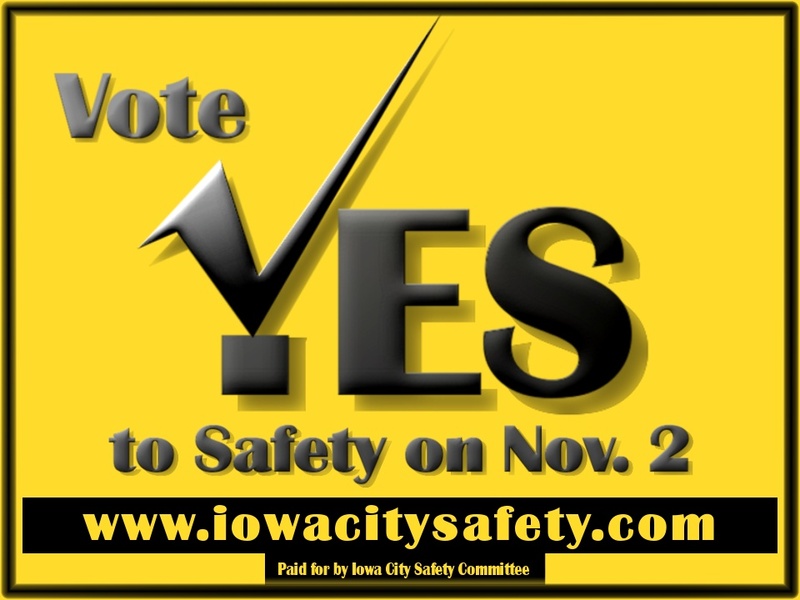 In an effort to convince the Iowa City public, the Iowa City Safety Committee has made a commercial, which they feel best articulates the reasons they want the vote to be overturned. Although many students feel that the law should go back to 19+, voting for the law is another story. With most of the Universities students from out-of-state, 54% out-of-state, 43% in state, many of them may not be registered to vote in the state of Iowa. This could have a dramatic affect on the outcome of the voting process, which aside from early-voting, takes place on November 2nd. The only way to know the true outcome of these two debates is to wait and see the final vote. To find your local polling place, visit the Johnson County Auditors website. So what is your vote on the local issue? Cast it here, and be sure to vote on November 2nd!